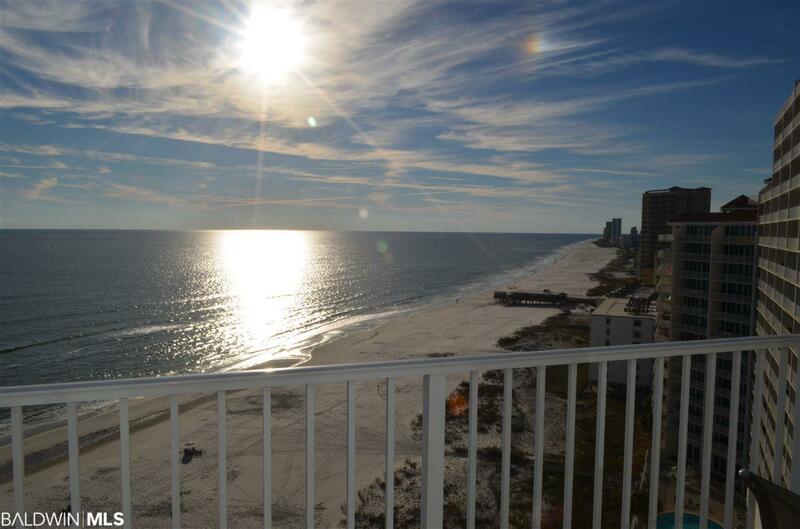 Very popular gulf front building, excellent rental or 2nd home. 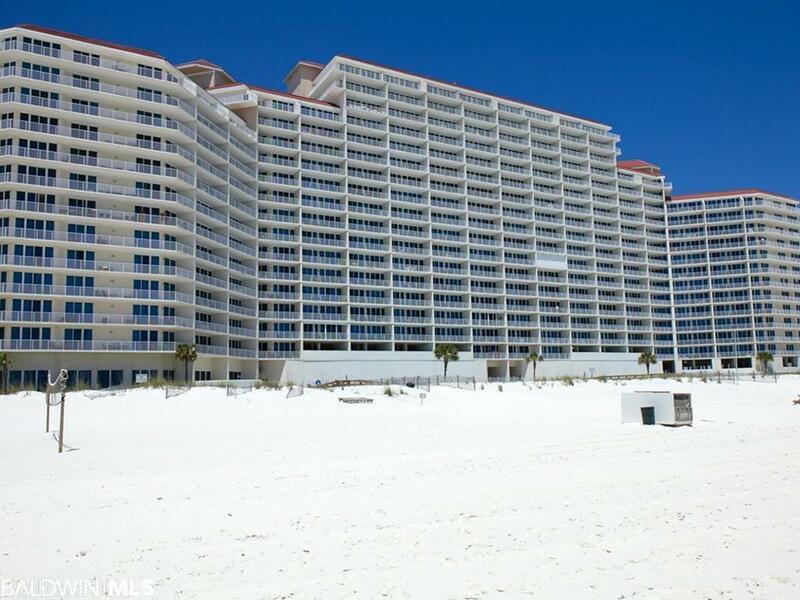 This is the largest 1 bdr floor plan on the beach with a gulf front master bedroom, spacious bunk-room and 2 full baths. 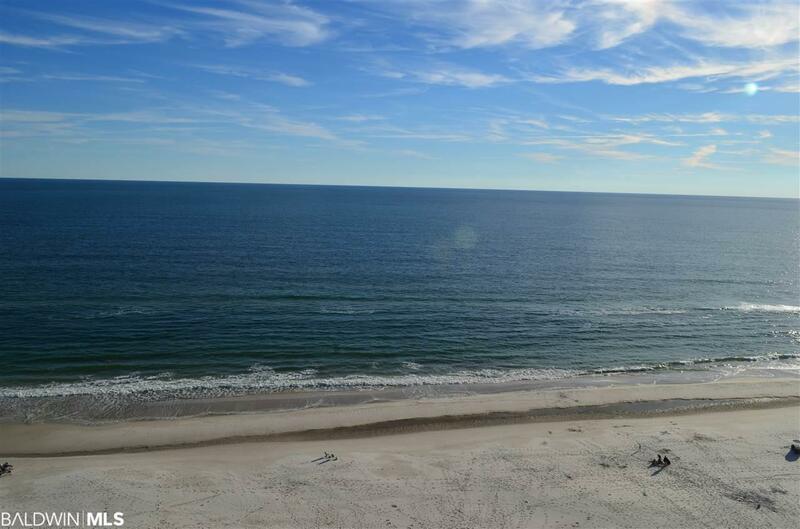 Located in the heart of Gulf Shores and within walking distance to community festivals, restaurants and shopping. Granite counters in kitchen and tile throughout the unit. High ceilings with floor to ceiling sliding doors that open to the large, open balcony. Double vanity dressing area in master bath, separate shower and garden tub, walk-in closet. Zero entry swimming pool, indoor pool and fitness area with steam room. 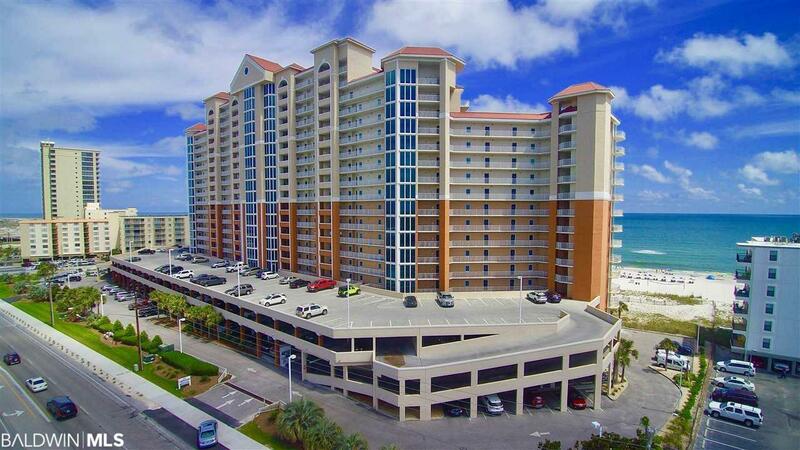 Covered parking and owners may have pets!